Submissions are open for the Golden State Film Festival to be held at the TCL Chinese Theater in Hollywood California. Hollywood, CA, January 17, 2019 --(PR.com)-- The organizing committee for the 2nd Edition of the Golden State Film Festival is pleased to announce today that it has started accepting film submissions for screening consideration for this year’s festival. 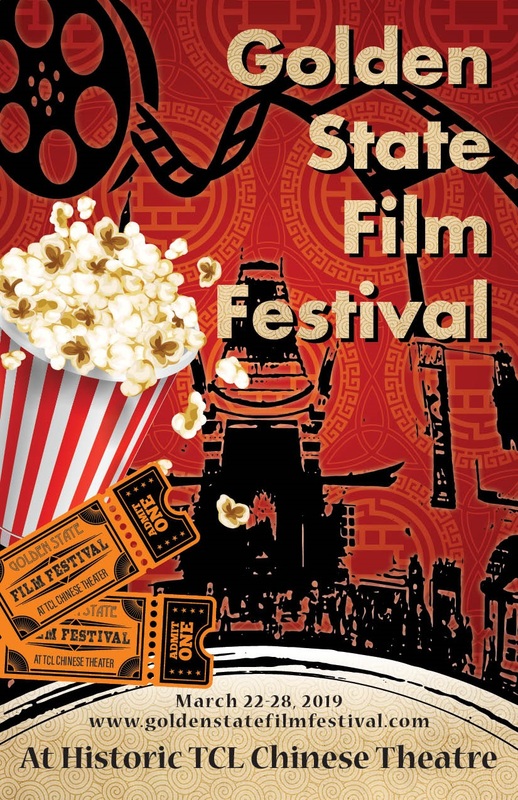 The 2nd Edition of the Golden State Film Festival is set to be held from Friday, March 22nd through Thursday, March 28th, 2019, at the world-renowned TCL Chinese Theater in Hollywood, CA. Filmmakers from across the United States and all around the world are eligible for participation, with both short-form as well as feature-length works considered for entry. The Golden State Film Festival is being administered and operated by Messrs. Jon Gursha and Peter Greene, who are highly respected film industry professionals with years-long experience in unearthing new talent and helping emerging filmmakers enter the professional arena. With Mr. Greene assuming the role of Program Director, Mr. Gursha serves as the Festival Director, and both undertake the various aspects relating to maintaining the Festival’s excellent showcasing of artistry and ingenuity in the contemporary seventh art scene. “We are very excited to bring a new festival to Hollywood and The TCL Chinese Theatre. This years festival is going to be amazing week for independent film in Hollywood,” said Mr. Jon Gursha, Golden State Festival Director. In addition to film screenings, the Festival will include an opening night gala ball as well as a red-carpet awards ceremony which will mark the 2nd Edition of the Golden State Film Festival’s conclusion in the most festive way possible. 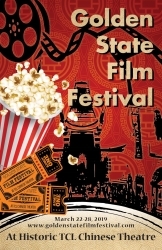 The 2nd Edition of the Golden State Film Festival is being sponsored by Simple DCP; Burger Lounge; Ernest Packaging Solutions; Asis Entertainment Insurance, and FilmFreeway. It also enjoys promotional support from various other local business establishments and organizations. Those interested in submitting their films for consideration can do so on FilmFreeway or the link on the Film Festival website. Submitted films are not guaranteed screening during the Golden State Film Festival and/or any kind of award or prize, while submission fees are non-refundable. The Festival reserves the right to change programming without notice. The 2nd Edition of the Golden State Film Festival’s awards and prize packages will be announced in future communications with the press.